Last month, dental technology startup ONVI introduced a toothbrush with a camera built in, so users could get a close up look at their teeth as they slowly rot away in their heads. This, thankfully, is not that. In a lot of ways, Philips’ new smart toothbrush is similar Oral-B’s offering. 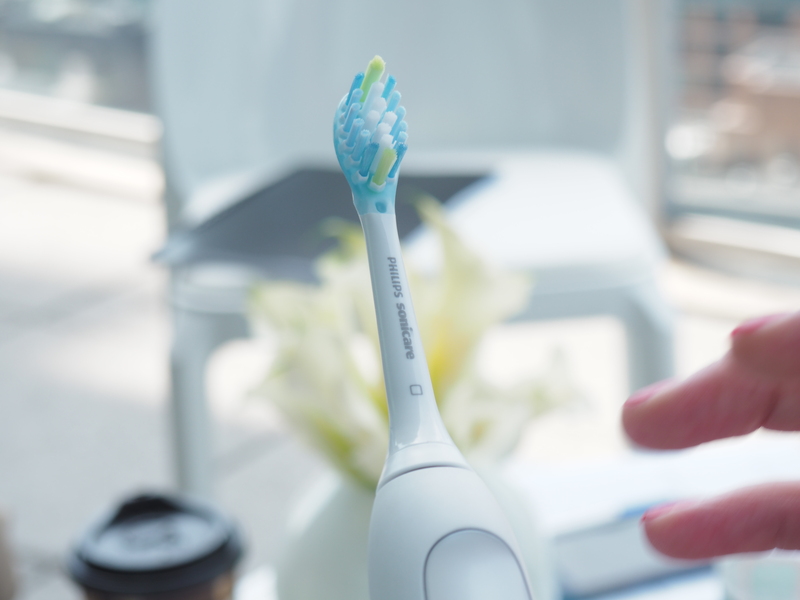 The verbosely named Sonicare FlexCare Platinum Connected is a Bluetooth-enabled electric toothbrush designed to track and help improve people’s brushing habits. When I sat down with the company ahead of launch, a spokesperson stressed the need for “truly meaningful innovations,” since, “anybody can create a connected toothbrush,” adding that, at the end of the day, most people who go the lengths of buying a fancy $200 electric toothbrush probably don’t need, say, a twice daily reminder to brush their teeth. So if you’re going to make a smart toothbrush, you should make it, you know, smartly. In other words, don’t just add connectivity to your toothbrush for the sake of adding connectivity to your toothbrush. Philips’ big push here its 3D Mouth Map, designed for dentists to designate trouble areas due to over- or under-brushing for specific users. 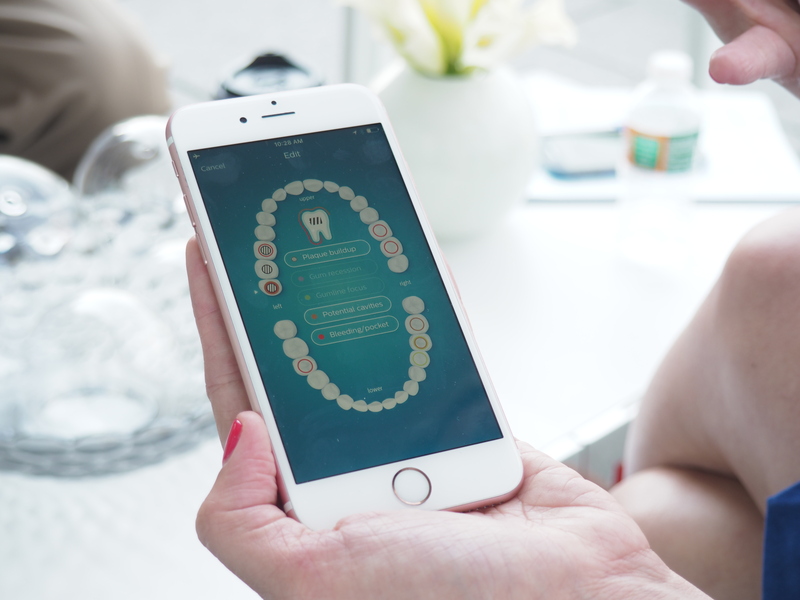 The app utilizes that information to determine where users should be spending their time while brushing. There’s also a touchup feature that tacks on extra time after the requisite two minutes to address spots that were missed. Activity is tracked courtesy of on-board sensors, which display brushing in real-time. That information is recorded and aggregated over time, so dentists can determine the areas that need work before the next checkup. It’s kind of like brushing homework. The brush itself features three intensity settings, pressure sensors (with a built-in haptic buzz when you press too hard) and a timer. The brush head is rubberized and designed to conform to the teeth and gums. And according to the company, the battery should last upwards of two weeks, making the brush a good potential travel companion. 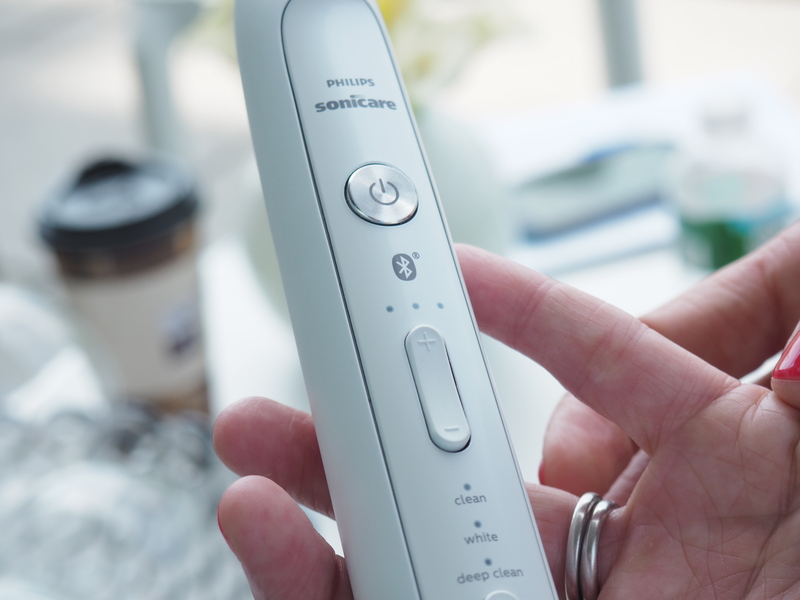 The Sonicare FlexCare Platinum Connected will run $200 when it starts shipping in July. The company will also be offering the toothbrush bundled with a UV sanitizer to zap bacteria on the brush head.